The group Concerned Sierra Leoneans – USA, say they subjected Sierra Leone’s Head of State – President Dr. Ernest Koroma to immense embarrassment last Friday in Washington. 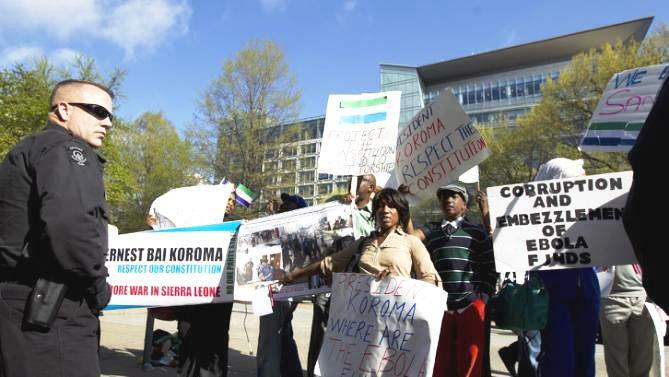 About 100 protesters with placards, bullhorns and drums, demonstrated against President Koroma outside the World Bank Headquarters in Washington, where he was presenting his Ebola recovery plans for additional money and support during the financial institution’s annual meeting. “The fact of the matter is, it is a shame that out of three West African leaders participating at the World Bank high level roundtable, President Koroma is the only president whose people came out in droves to demonstrate against him,” said protester Francis Joseph Mattia. Concerned Sierra Leoneans USA, is calling for the Koroma administration to reinstate sacked Vice President Alhaji Sam Sumana, whose dismissal they say is unconstitutional. They also say that the president must account for over $5.7 million in misappropriated Ebola funds, identified in Sierra Leone’s national audit service report released in February. “We sent a clear message through our protest on Friday at the world Bank to the international donor community, the global media and President Koroma’s delegation, that we condemn President Koroma’s lack of accountability for millions of dollars of embezzled Ebola funds, as well as the entrenched greed and corruption of his administration,” said Dr. Fuambai Ahmadu, a member of Concerned Sierra Leoneans National Coordinating Team. “We also made it loud and clear that the people of Sierra Leone will not tolerate dictatorship in the country, and that the elected Vice President must be reinstated,” Dr. Ahmadu wrote in a statement for this report. (Photo: Dr. Sia Ahmadu leading the protest). Friday’s demonstration was the second action in less than a week against the president. An earlier protest and counter protest by his supporters drew global media attention on Saturday at the Lafayette Park, just across from the White House. Yet, despite the protest, President Koroma and his counterparts collectively, were able to secure $650 million in new funding including $506 million in debt relief for Sierra Leone. Prior to Friday’s high level roundtable, World Bank Communications Officer – Melanie Mayhew, issued a statement in response to a request seeking comments outlining three aspects of Ebola funding by the World Bank. How immediately would Sierra Leone, Guinea and Liberia realize tangible support, including job creation and financial assistance from the World Bank, after presenting their respective Ebola recovery plans? Mayhew said: “The World Bank has provided a total of $518 million from the IDA – the World Bank Group’s fund for the poorest countries, since the start of the Ebola crisis in Guinea, Liberia and Sierra Leone. These funds have helped the countries with both their emergency responses and with recovery, including strengthening essential health services, and getting kids back to school, people back to work and farmers back to their fields. “During the World Bank – IMF Spring Meetings, World Bank Group President Jim Yong Kim will chair a high-level roundtable, during which the presidents of Guinea, Liberia and Sierra Leone will share their Ebola recovery plans with finance and development ministers and international partners. “The event will focus on building global support for the three Ebola-affected countries to get to and sustain zero cases, jumpstart recovery, and build more resilient health systems and economies. 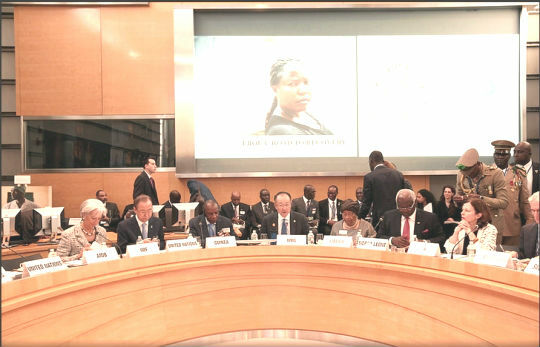 The World Bank has provided $160 million to Sierra Leone for tackling Ebola. With reports of mismanagement of Ebola funds in Liberia and Sierra Leone, has the World Bank conducted an audit of its Ebola funds disbursed to Liberia and Sierra Leone? What is the current total World Bank financing for the Ebola crisis in Sierra Leone? Many Sierra Leoneans living in Washington, DC, Virginia and Maryland, the region where the World Bank is situated expressed displeasure over the president’s decision to meet with only his ruling party executives and supporters, but not with the majority of the people living in the area during his six-day visit in Washington. They are critical of the size of the president’s 21-man delegation attending the meeting, in comparison with President Johnson Sirleaf’s five and President Conde’s 7 member entourage – respectively. “Considering the current state of affairs within Sierra Leone, it would have served Sierra Leoneans well to have had an opportunity to meet with the President, to have an honest discussion with those in the Diaspora in the form of a town hall meeting. 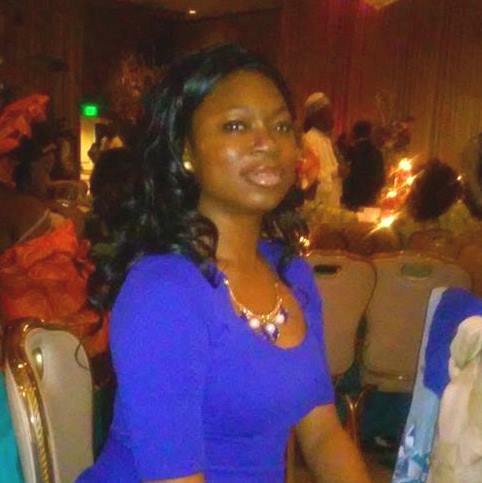 I am sure it would have been gladly welcomed and attended by many,” said Yolanda Thompson, a Sierra Leonean attorney practicing law in Silver Spring Maryland. “It is this type of dialogue that allows citizens to know that their concerns and questions are being heard. Considering also that the country has still yet to recover from the heavy impact of the war, any measures that can be taken to alleviate future unrest would be in the best interest of our beloved Sierra Leone,” Attorney Thompson added. Meanwhile, the National Coordinating Team of the Concerned Sierra Leoneans USA, say the protests at the White House and World Bank, are just the beginning. They vow to continue their campaign whenever President Koroma arrives in America and until the president relents to their demands. The Group is organising another demonstration, taking place on April 27 – Sierra Leone’s Independence Anniversary, at the United Nations Headquarters in New York. Concerned Citizens of Sierra Leone, whether living in the US or in Sierra Leone itself, should ask why physicians and health officials have refused to release the results of treating Ebola patients with two inexpensive generic drugs: atorvastatin (a statin) and irbesartan (an angiotensin receptor blocker). These drugs reverse the abnormality that causes Ebola patients to die. In November, physicians in Sierra Leone treated approximately 100 Ebola patients, yet only two who were inadequately treated are known to have died. Why has this information not been released? Why has WHO not followed up on this treatment? Why have journalists ignored this story? Since late November, more than 4000 Ebola patients in West Africa have died. Had all healthcare workers known about this treatment, many of these deaths could have been prevented. Atorvastatin which is used for cholesterol lowering, Clomiphene used in infertility and Irbesartan used for hypertension, were all listed by the WHO as possible treatments against the Ebola virus. I understand that they were used separately or in combination at the Hastings Treatment Centre in Freetown. This centre run by Sierra Leonean doctors is known to have saved lots of lives, including some of their colleagues. However, they have not published any data and so it is impossible to know whether these drugs were responsible for the high survival rate at that centre. Other factors could have helped in saving lives such as early detection and arrival at the centre, more than adequate rehydration and/or use of high dose broad spectrum antibiotics. It would be very informative and useful to know the facts and be able to look at any publication. I too find it a bit frustrating that the result of such an important piece of study is unavailable. What is the government hiding? Its quite interesting your comment and knowledge about the medicines used in Hastings Medical Center. Its a well known fact that it was used, and the doctors there did publish an article in the New England Journal of Medicine, but they did not mention anything about using atorvastatin, irbesartan or clomiphene. Its first time I have seen anyone from Sierra Leone speaking the truth about it on a forum. Also about 25 patients received this same treatment with good results in Porto Loko. One “problem” with these medicines is that they are generic, it means that they are cheap, and therefor very little profit can be made, therefor they are of much less interest than medicines that are still under patent protection. If you have more information please share it. It is very strange why they can not tell the truth about this very important information that could have saved lives. I am a member of the group called Concerned Sierra Leoneans USA. We want all peace loving Sierra Leoneans to come and join us, as we fight against the corrupt government in Sierra Leone. This group is not about political party politics. So please, my brothers and sisters, stop saying that we belong to the SLPP party, because we are not. We are only standing up against any bad government in our beloved motherland. Thank you for your kind attention.